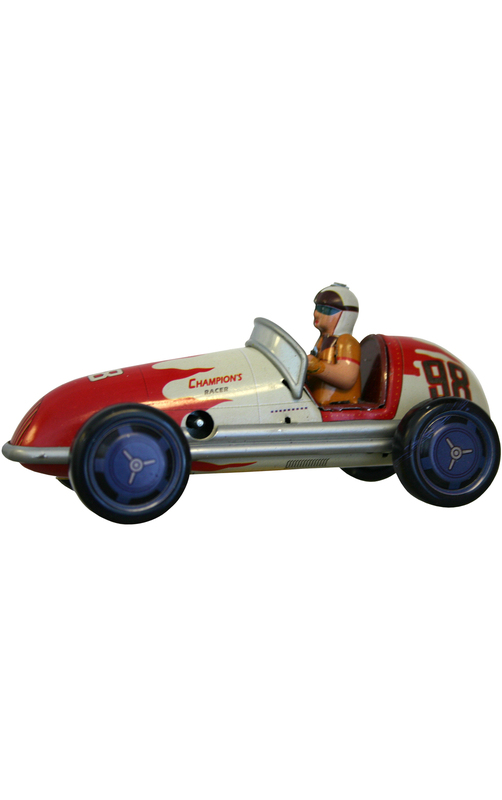 MS508 - Tin Toy - 2.25H x 2.5"W x 5"D"
MS508 - Collectible Tin Toy - Champion Racer - 2.25H x 2.5"W x 5"D"
Tin champion racer is ready to race - key-wind. Made in China. Recommended for adult collectors.